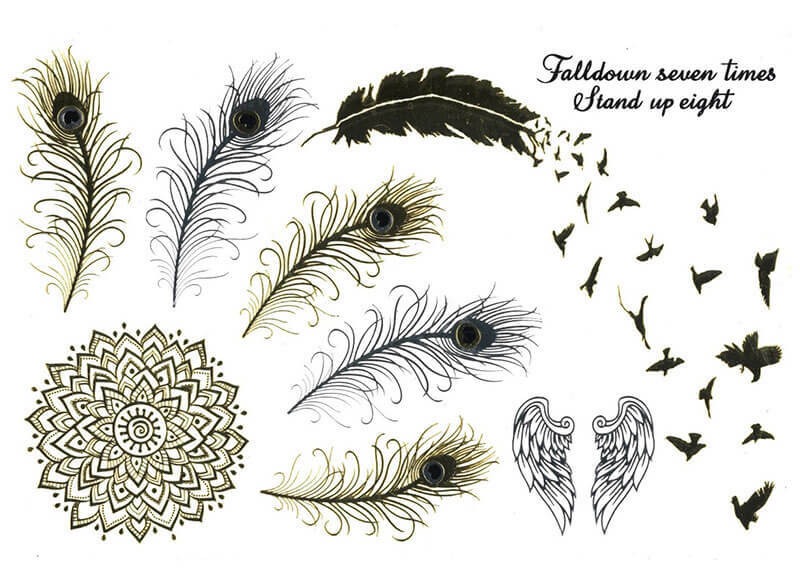 This floral and feminine collection combines the lightness of feathers with a marine theme. 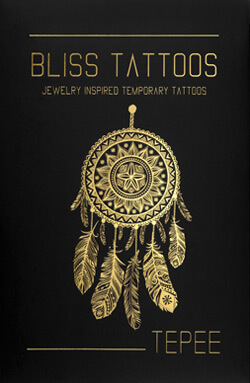 It is packed with original tattoos, gold as well as silver including infinity signs, flocking birds from a feather, cord bracelets and plenty more. 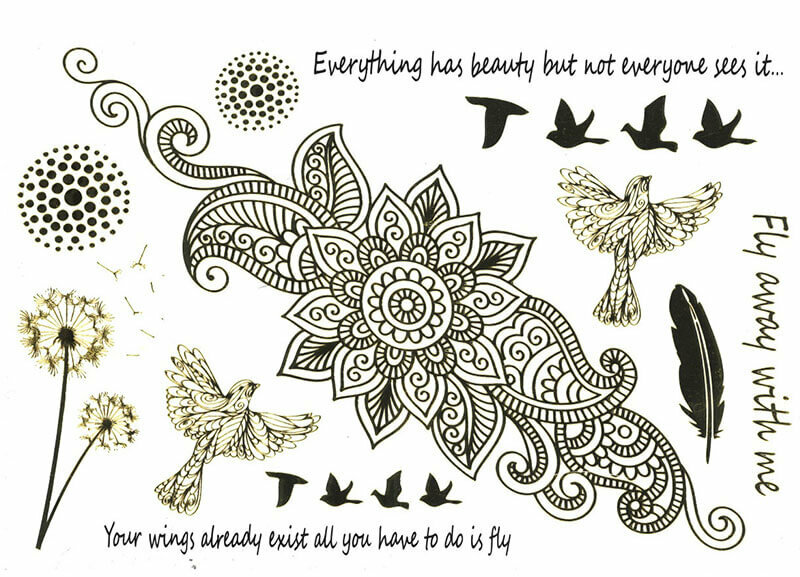 ‘ Fly away’ will add a chic and shimmery finish to all your outfits. 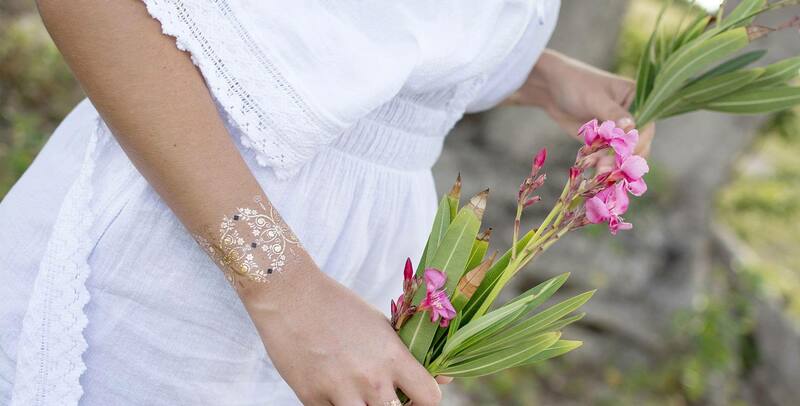 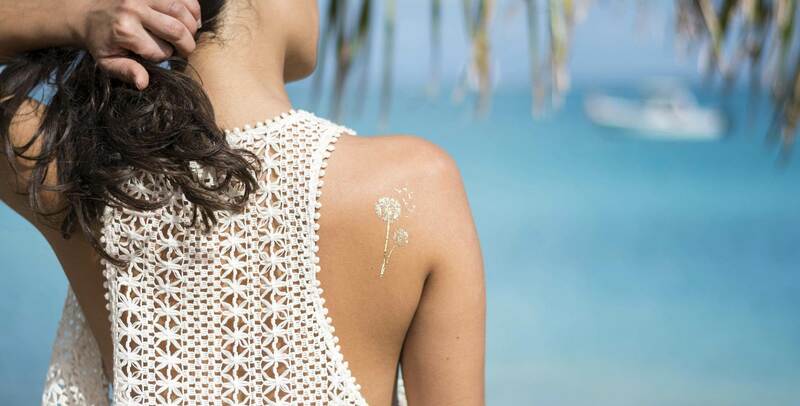 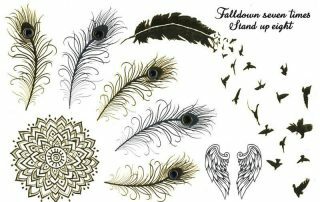 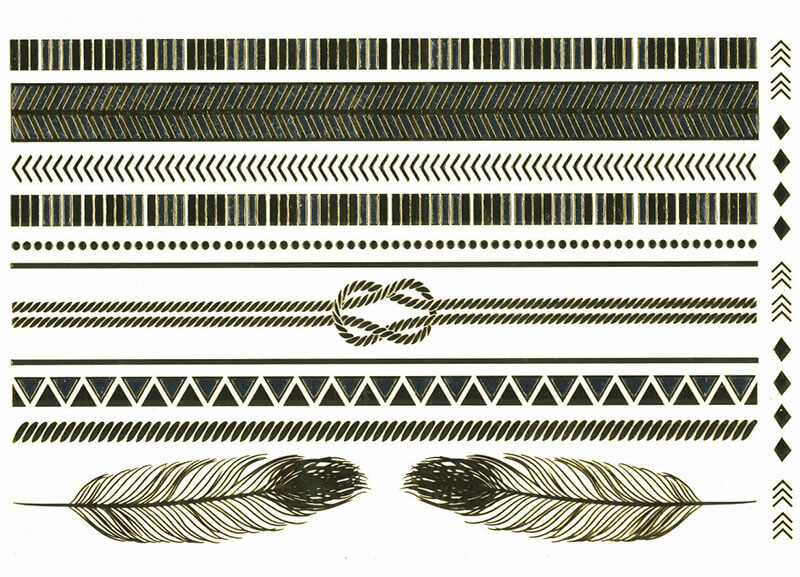 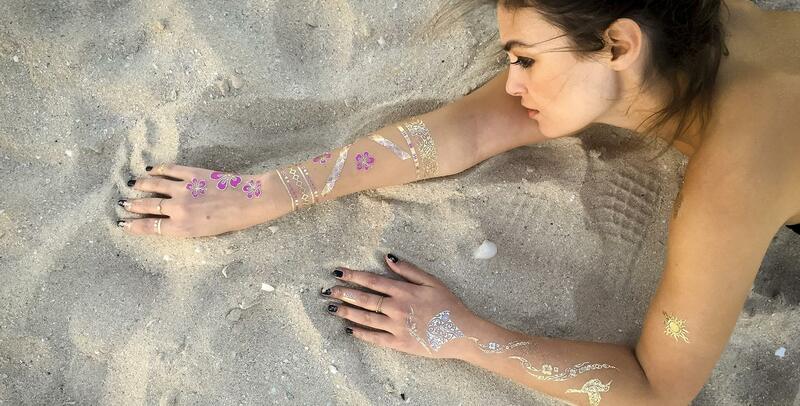 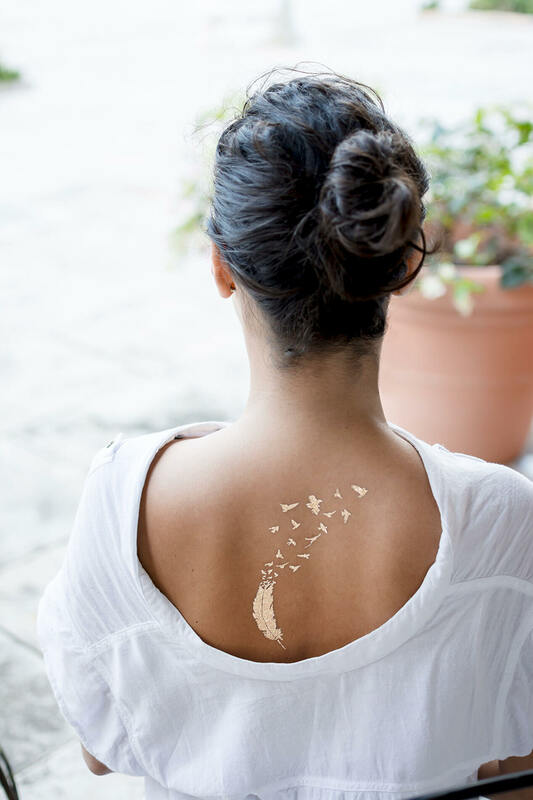 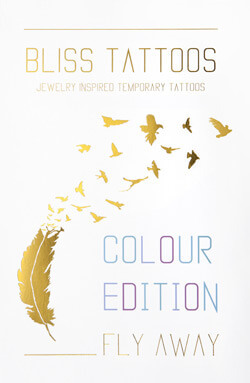 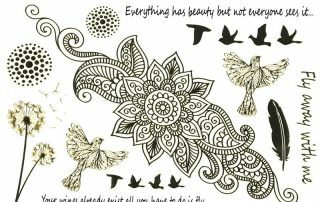 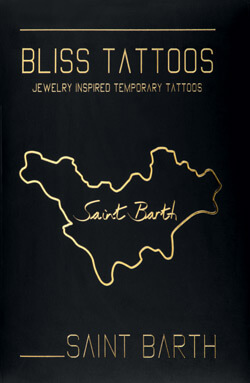 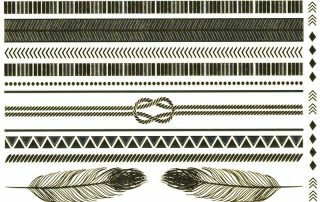 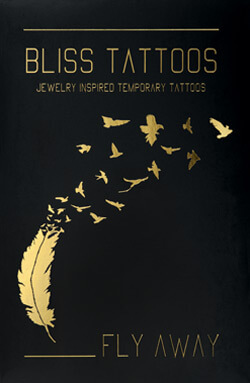 The high-end Bliss Tattoos temporary tattoos are exceptionnaly long lasting and easy to apply. 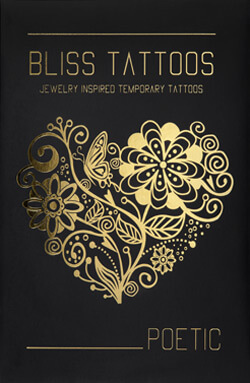 They have no toxic ingredient, are 100% safe and gentle to the skin.